For those that weren’t aware, there are two main safety-centric organizations that perform crash tests on all automotive models in a given year: the Insurance Institute for Highway Safety and the federal government’s National Highway Traffic Safety Administration. While both are rather stringent in the tests that they perform, they have the same basic modus operandi in helping consumers choose automobiles that are going to protect them in the event of an unforeseen accident. This won’t come as a huge surprise to those that have been Honda owners for some time, but Honda models continue to be among the safest automobiles in the industry, as proven once again by safety tests performed over the course of the last few months by the Insurance Institute for Highway Safety. 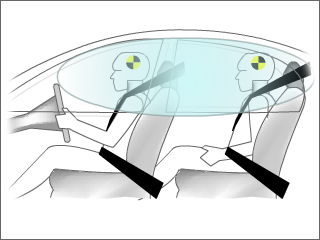 These tests, which look at all the most common ways that a vehicle can be involved in an accident, look at how advanced safety features and designated crumple zones work when a vehicle is pushed to its limits. Since Honda is known for working in cutting-edge safety tech and performing extremely well on these tests, it’s no shock to see that four 2016 model year Honda vehicles already have been named an IIHS Top Safety Pick+, while a fifth has been named a Top Safety Pick. Once every few years, somebody comes up with an in-car technology that completely changes the way that people enjoy their automobiles. There was a time before windshield wipers, for example. Imagine how much easier life was after those came along! 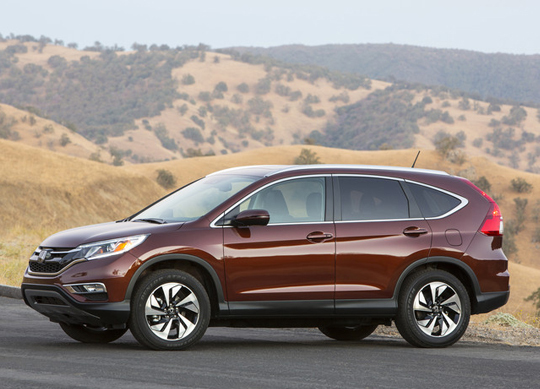 Someday, we may say the same thing about Apple CarPlay, an in-car system that runs iOS and iOS apps through the vehicle’s touchscreen or through voice commands, and as your Honda dealership we are very excited to announce that certain Honda models will, for the first time, feature this slick new bit of tech for the 2016 model year. While the 2016 Honda Accord is currently the best-selling automobile in the Honda stable and the 2016 Honda CR-V remains the top-selling SUV in the entire American auto industry, no Honda automobile has generated as much positive buzz over the course of the last several months than the 2016 Honda Civic, a vehicle that just last month was named the Kelley Blue Book Overall Best Buy for the 2016 model year. 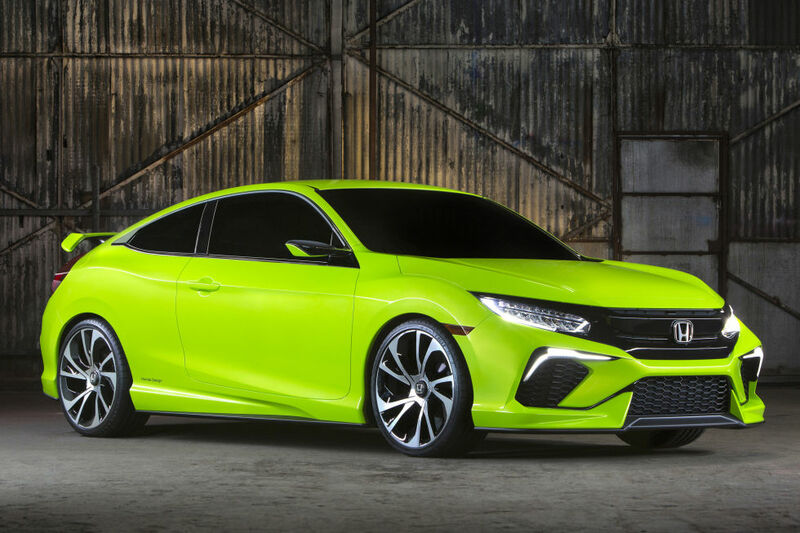 2016 Honda Civic Coupe to Debut in L.A. 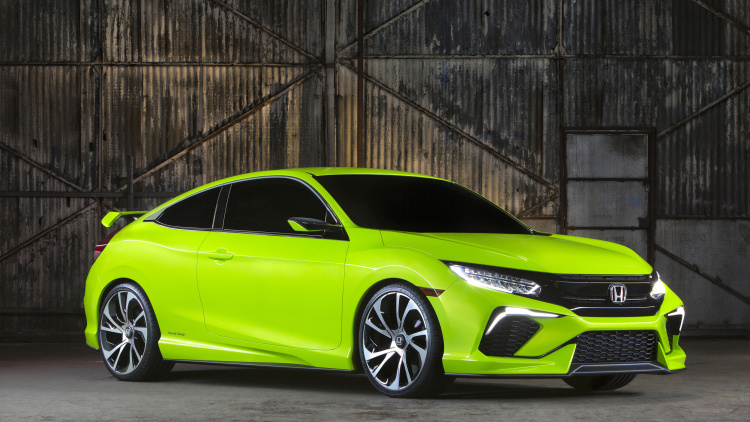 There really is nothing quite like a good auto show, and the Los Angeles Auto Show remains one of the more entertaining ones on an annual basis, especially when it comes to Honda cars. This year, Honda has big plans as they gear up to debut the all-new 2016 Honda Civic Coupe alongside the ballyhooed Clarity Fuel Cell vehicle, which we’ve discussed in this space in detail. In a lot of ways, the SEMA show held annually in Las Vegas is one of the most unique and entertaining auto exhibitions in the industry today. Since it focuses on aftermarket customization and crazy concepts, there really is very little limit to what an automaker will bring for the viewing pleasure of the masses. Even relatively conservative models can look fairly outrageous (and awesome) when put on display at SEMA with a handful of personalization options added. 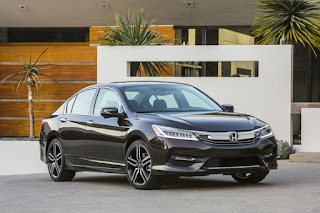 One of the things that really sets apart Honda from the rest of the automotive competition is that they produce vehicles that consumers tend to keep for a very, very long time. 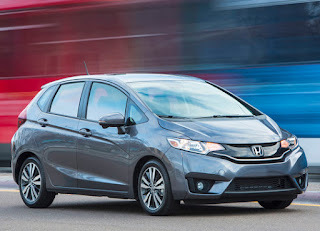 A lot of that is tied to the reliability of Honda cars and SUVs, but whatever the reason, Honda is one of only two makes of vehicles that customers keep for a decade or more, according to a recent survey of 400,000 vehicles organized by iSeeCars.com. That is truly elite status for our beloved machines, and a list of the “Top New Cars Owners Keep for 10 Years” showed just how many Honda models stick around longer than a two-term president. 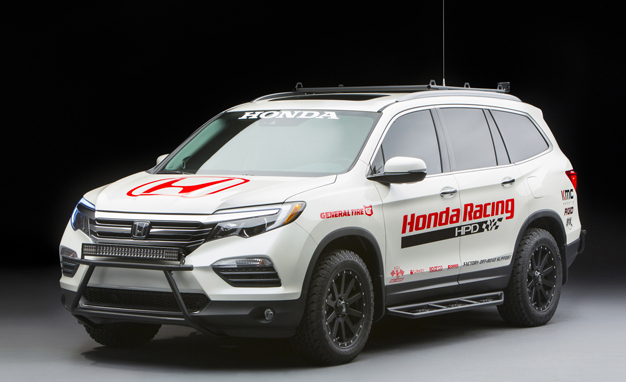 While America waits for a workable infrastructure for hydrogen fuel vehicles, automakers continue to push out more and more HFC automobiles, with Honda coming up with the most recent (and arguably the most intriguing) one yet. Honda always has strived to be an innovative brand when it comes to technology, and they proved that in an especially unique way back in 2014 when they debuted a range-topping version of the 2014 Honda Odyssey that featured a built-in HondaVAC vacuum cleaner. 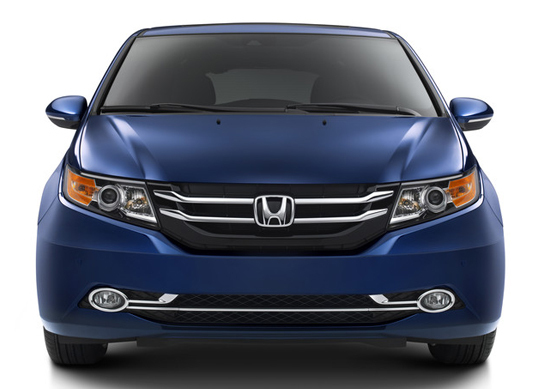 Situated just inside an interior rear panel of the minivan, the HondaVAC is a perfect tool for families with children who make incredible messes when riding inside the family vehicle. Rather than lugging around a shop vac (which is impossible) or even a clutter-creating dust-buster, Honda introduced this vacuum cleaner to make life easier for consumers. 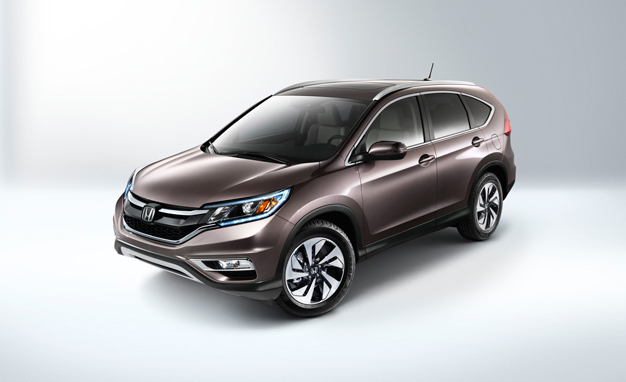 It might seem like hyperbole to say that everybody loves the 2016 Honda CR-V, but the fact that it’s the best-selling SUV in the entire country right now sort of makes that statement true. We here at Pacific Honda are pleased to announce that it’s about to get even more popular, as Honda plans to release a Special Edition model in the coming months. One of the reasons that consumers really give Honda vehicles serious consideration is their reputation for safety. 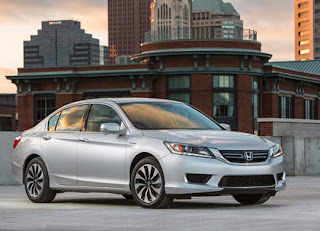 Five 2015 models (and two 2016 models, so far) have been named either a Top Safety Pick or a Top Safety Pick+ by the Insurance Institute for Highway Safety for their efforts in the arena of safety, with the most recent of those automobiles being the 2016 Honda Accord, recently refreshed to offer frontal collision prevention and to dominate the always tough small-front overlap crash test. Honda vehicles are about as decorated as any auto brand in the world, and while a lot of those accolades come with huge trophies from long-standing, respected organizations, there isn’t a single honor that your San Diego Honda dealership takes for granted, particularly those from online auto valuation website Kelley Blue Book. While it’s easy to look at all the bells and whistles that automakers offer these days in their safety technology suites, the truth is that automakers put a lot of work into making their automobiles as safe as possible in ways that aren’t even remotely complicated. While it’s great that so many new Honda vehicles offer blind spot monitoring and other such advanced safety tech, sometimes it really is as simple as designing a car that crumples appropriately upon impact. It doesn’t sound like much, but keeping the cabin of a vehicle secure is the first step in making sure everybody in the vehicle is safe when it matters most. The auto industry is a funny thing sometimes. Take, for example, the 2015 Honda CR-V, which is the best-selling SUV in the industry, and how it recently was named the best in its segment for projected value retention after five years by Edmunds.com. Logically, one would think that if the used CR-V market is flooded with inventory five years down the road that it would actually hold onto less of its value, but that doesn’t look like what’s going to happen. From the moment that Honda debuted the all-new, completely-redesigned 2016 Honda Civic concept vehicle in New York earlier this year, Honda dealers all over the country had a sense that it was going to be something special. With over 16.5 million models sold in its history, the Civic is the best-selling model that this particular automaker has ever developed, and we already can tell that the latest iteration is going to further boost those numbers. Going through the crash test process must be for automakers what going through a home inspection feels like for people selling their houses. All the work is done, it’s time to move on, but before anything significant can happen somebody official has to make sure that everything is up to code. Just like with home inspections, there are a lot of things that can wrong with the kinds of crash tests performed by the Insurance Institute for Highway Safety, but thankfully the recently-redesigned 2016 Honda Pilot just got through its maiden voyage through the process with glowing marks. The Pilot earned top marks of “Good” on all five of the IIHS’s major crash tests, including the famously stringent small overlap test that has stymied so many automobiles over the course of the last few years. When the higher-ups at Honda spend their millions of dollars on advertising, they do so with the hopes that those ads will, in fact, reach the people they hope to reach. It’s a challenging game to play, but good advertising combined with a good product very often leads to plenty of word-of-mouth buzz that plays into the overall success of a brand. Honda is doing particularly well in all of these areas, according to the YouGov BrandIndex, which recently determined that Honda was among the top auto brands in the minds of Millennials. One thing we’ve learned over the course of the last several years selling the Honda Odyssey is that it’s a minivan good enough to make people forget that they “have” to buy a minivan. 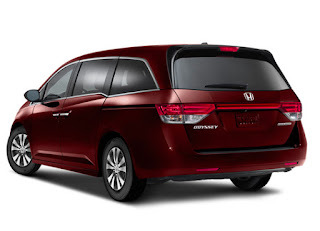 The truth is that for a lot of families there really isn’t a better people pusher than a minivan, and as your Honda dealership we obviously think that the 2016 Honda Odyssey is the most stylish, comfortable and complete of the options that currently exist in today’s market. There comes a time in every person’s life when it’s time to buy their first car. For some people, that happens immediately following their 16th birthday while they’re still in high school, and others have to wait until the need arises at some point during their college careers to make the purchase. Either way, it’s an exciting time in anybody’s life. American Honda Motor Co., Inc. today reported an increase of 7.7 percent in July 2015, on sales of 146,324 Honda and Acura vehicles. Honda and Acura trucks led the July sales gain, combining for a 13.2 percent increase on sales of 70,613 vehicles. Honda Division sales rose 6.5 percent overall on sales of 131,409 units, while Acura reported a gain of 19.5 percent with 14,915 vehicles sold in July. Honda trucks had another strong month, jumping 16.2 percent on sales of 61,059 vehicles. 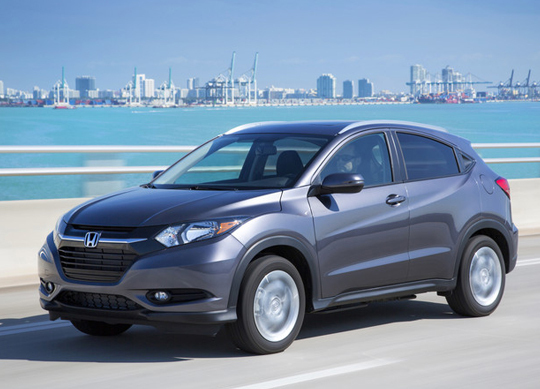 CR-V led the way with sales of over 31,000 units while the new HR-V grabbed 5,909 sales and, despite the continued production ramp-up, the brand-new 2016 Pilot earned nearly 10,000 new customers in July—its first full month on the market. Odyssey also gained significantly in July. Despite the market rush toward trucks, Civic and Accord each posted stronger performances over 30,000 units – with Civic gaining 3.7 percent on sales of 31,139 while 34,496 Accords were sold in July to nearly match a very strong July 2014. 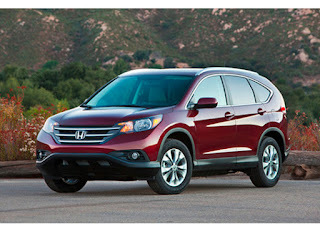 The award-winning CR-V rolled on to yet another record month, posting an 11.4 percent gain on sales of 31,785 units. Odyssey maintained its upward trend, increasing 17.8 percent on sales of 12,851 vehicles in July. 31,139 Civics were sold in July for a gain of 3.7 percent. "This is not only the strongest lineup of Honda light trucks in our history, from top to bottom it is one of the hottest lineups in the industry's hottest segment—trucks," said Jeff Conrad, Honda Division senior vice president and general manager. 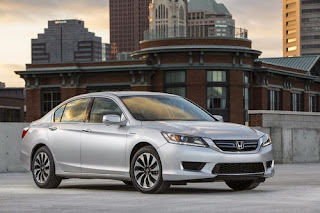 "What feels really good is that Honda automobiles are also showing considerable strength, even with the new 2016 Accord and all-new Civic on the horizon." With a nearly 20 percent overall gain, sedans continue to evolve into one of the key Acura brand success stories. 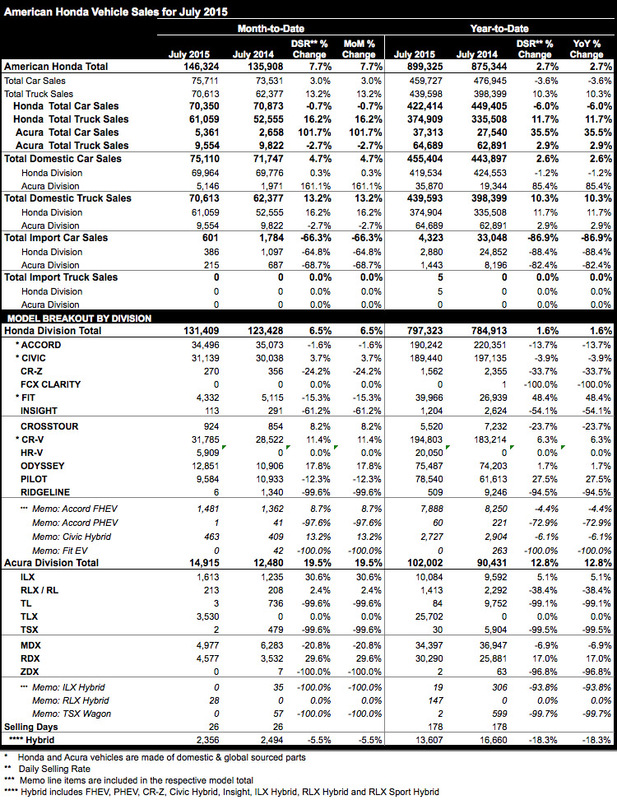 The recently refreshed ILX steps up with a best-ever July, combining with a still-streaking TLX to push Acura cars up 101.7 percent for the month. The RDX showed renewed strength as it set a new July benchmark with a nearly 30 percent gain, while the MDX is working through inventory issues. Acura sedan sales totaled 5,361 in July, up 101.7 percent for the month. "With Acura sedan sales continuing to strengthen, the Acura brand is on its strongest footing in years," said John Mendel, executive vice president of American Honda. "With both sedans and trucks clicking with luxury buyers Acura is on pace for our best sales year in nearly a decade." We all know that vehicles occasionally get refreshed, and not just in terms of the generational updates that come every four or five years. Mid-cycle refreshes are good for updates in technology and safety features, and that’s exactly what we’re about to see with the forthcoming 2016 Honda Accord. The 2016 Honda Odyssey goes on sale August 4 with a trim lineup expanded to eight models and a starting Manufacturer's Suggested Retail Price (MSRP)1 of $29,275. Slotted between EX and EX-L trims, the MSRP for the new Special Edition (SE) is $33,375 With the acclaimed HondaVAC® and a comprehensive selection of premium features available lower in the trim lineup, along with class-leading EPA fuel-economy ratings of 19/28/22 mpg2 city/highway/combined, the 2016 Odyssey is designed to comfortably and efficiently accommodate the lifestyles of American families. 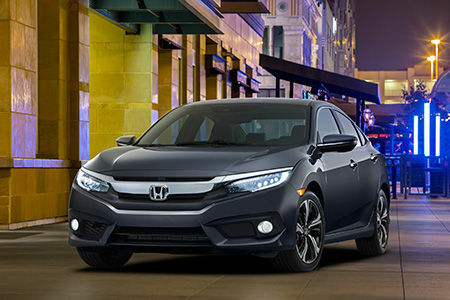 "Our Odyssey customers have told us some of the features they value most and we have packaged these in the new Odyssey SE model to create a special value edition that we know American families are going to love," said Jeff Conrad, senior vice president and general manager of Honda Sales. The Odyssey was recognized by U.S. News & World Report as the Best Minivan for Families for its fifth straight year in 2015 and has earned the 2015 Kelley Blue Book Best Buy: Minivan award. Also ranked highest in the ALG Residual Value Awards in the Best Minivan (MPV) category for the fourth consecutive year, the 2016 Odyssey is being introduced following a very successful year of sales and accolades. View, build and price at 2016 Honda Odyssey at automobiles.honda.com/odyssey. The 2016 Odyssey is powered by a 3.5-liter, 24-valve V-6 engine producing 248 hp at 5,700 rpm and 250 lb-ft of torque at 4,800 rpm. Honda's i-VTEC® enhances power delivery while Variable Cylinder Management™ (VCM®) helps maximize fuel efficiency and reduce emissions. The engine is paired with a 6-speed automatic transmission which together helped the Odyssey receive EPA fuel-economy ratings of 19/28/22 mpg2 city/highway/combined and California Air Resources Board (CARB) ULEV-2 emissions certification3. Refined and youthful, sporty and advanced, the Odyssey's styling includes premium elements including black-trimmed headlights, available fog lights, a muscular hood, and black-surround grille for an upscale appearance. 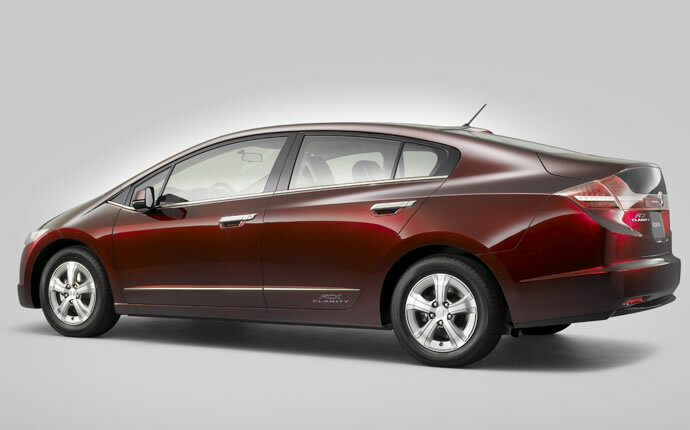 Body-color matched side mirrors and bright chrome trim add to the premium appearance. Rear styling and LED taillights with clear lenses and eye-catching perimeter "light pipes" add to the polished look. Lightweight aluminum is used for the hood, front fenders and front suspension lower control arms. The LX model features 17-inch steel wheels with covers, while EX and EX-L models utilize 17-inch aluminum alloy wheels. Touring and Touring Elite models feature 18-inch premium sport aluminum alloy wheels. The 2016 Odyssey EX, SE, EX-L, Touring and Touring Elite models have a wiper-linked headlight system that automatically turns on the headlights when the front wipers are activated. In addition, standard one-touch turn signals provide convenience for the driver when making routine lane changes. With this system, one flick of the turn-signal lever provides three blinks of the turn signals – ideal for changing lanes. Pressing the lever past the "click point" provides continuous blinking. A keyless entry system with push button start – on EX, SE, EX-L, Touring and Touring Elite trims – allows the driver to approach the vehicle, open the door and start the engine – all without touching a key. The system only requires the driver have possession of the key fob. The system also simplifies opening the sliding side doors and tailgate – locking all doors when leaving the vehicle requires only touching the lock button on any door handle. The 2016 Odyssey's interior is ideal for families, with high-grade meter illumination and interior lighting, chrome-trimmed instrument dials and door handles, an available 7-inch touchscreen, and an ideally positioned DVD player for the available Rear Entertainment System. Sophisticated styling and white halo lighting make the instrumentation easier to read and the climate controls easy to operate. All 2016 Odyssey models and trim levels include a rearview camera. Odyssey LX, EX, SE and EX-L models feature a single-angle "Normal View" display, while EX-L Navi, Touring and Touring Elite models have a Multi-Angle Rearview Camera with wide, normal and top-down views – all with improved optical quality. All rearview camera systems feature guidelines. An Expanded View Driver's Mirror is also standard on all Odyssey models. The driver's side mirror provides a 19-percent increase in visible area, offering an enhanced view of objects that might otherwise be hidden in the vehicle's blind spot. 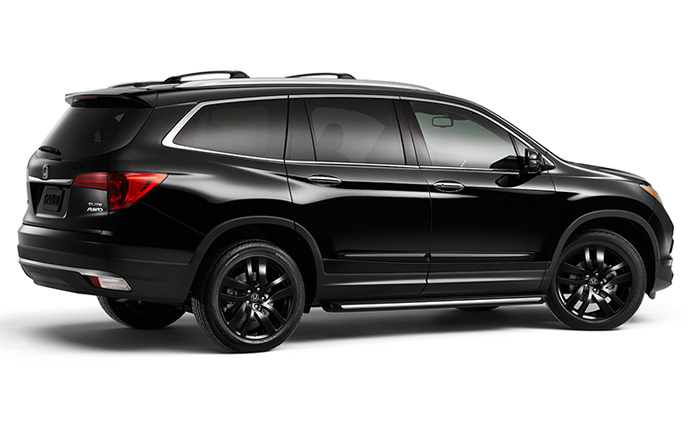 Included on Odyssey EX, SE, EX-L and Touring models, the Honda LaneWatch™ display provides an expanded rear view of the passenger side roadway. The system uses a camera mounted on the bottom of the passenger door mirror, which when activated by the right turn signal or the signal-stalk LaneWatch™ button, displays a live, 80-degree view of the passenger-side roadway, compared to 18- to 22-degrees typical of a standard door mirror. The Touring Elite features the Blind Spot Information (BSI) system that uses radar sensors located on both sides of the rear bumpers to continually monitor blind-spot areas to help determine whether a vehicle is in the driver's blind spot. The system provides a visual cue by lighting an indicator near the sideview mirrors, depending on which side of the Odyssey a vehicle is detected. The system also gives an audible warning and flashes the indicator to further alert the driver if the turn signal is activated on the side where a vehicle is being detected. To prevent false alarms while maneuvering at low speed, the BSI system is disabled below approximately 20 mph. The Odyssey SE and Touring Elite feature the first minivan in-vehicle vacuum cleaner system, HondaVAC™, which is designed to help families keep the Odyssey's interior neat and clean. Engineered for dry use, the HondaVAC™ operates on the vehicle's 12-volt electrical system, and its performance easily surpasses that of a handheld rechargeable vacuums. 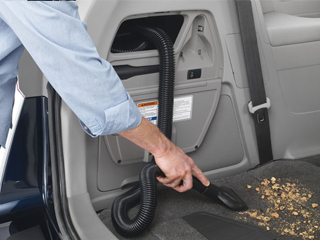 Integrated in the rear cargo area of the vehicle, the HondaVAC™ includes an extendable hose that can reach every interior corner of the vehicle. Two separate head attachments expand versatility, while a removable debris canister and replaceable filter bag makes maintaining the vacuum easy. To protect the vehicle battery's state of charge, the HondaVAC™ runs up to eight minutes when the vehicle's ignition is in Accessory mode – or continuously if the engine is running. Odyssey EX, SE, EX-L, Touring and Touring Elite models have intuitive touch panel controls that reduce button clutter on the center stack. An upper 8-inch display and a lower 7-inch display provide a simpler overall interface improving usability of multiple features at one time (i.e. phone and audio. navigation and audio, etc.). When paired to a compatible cellular phone, Aha™ and Pandora® interfaces are available on EX, SE, EX-L, Touring and Touring Elite models. SiriusXM® Radio is included in SE, EX-L, Touring and Touring Elite models, a HDD audio system comes on the EX-L Navi, Touring and Touring Elite models, and a rear DVD player is standard in SE, EX-L RES, Touring and Touring Elite models. The Touring Elite also features HD Radio™ and new Neural 5.1 Surround™ audio. Audio system output to seven speakers is 240 watts for Odyssey LX, 270 watts for EX, SE, EX-L and EX-L RES, and 246 watts for EX-L Navi and Touring. The premium audio system in the Odyssey Touring Elite boasts 650 watts of power and 12 speakers. HandsFreeLink® is included on all models, and Bluetooth® audio streaming, SMS and email functions are available with compatible smartphones. Additional features include a phonebook, call history, speed dial and contact picture. Odyssey EX, SE, EX-L, Touring and Touring Elite include HondaLink™ featuring Aha™ which offers content from hundreds of channels through a tethered compatible smartphone. The Rear Entertainment System (RES) on the SE, EX-L RES, Touring and Touring Elite models features an intuitive control layout and high screen quality. This system features ideal placement of the DVD player and intuitive operation for the rear audio controls. Screen resolution is VGA on SE, EX-L RES and Touring models, and the Touring Elite's higher grade 16.2-inch WVGA ultra-widescreen offers increased resolution. 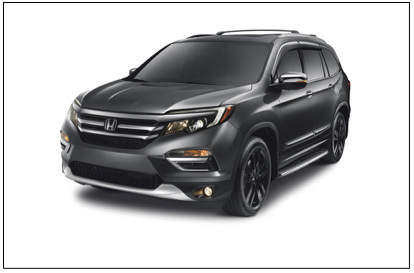 The Odyssey utilizes the next-generation of the Honda Advanced Compatibility Engineering™ (ACE™) body structure and makes extensive use of high-strength steel in the A-, B- and C-pillars, roof rails, floor rails, front body area, and front subframe. This results in a very strong front frame and door structure for increased protection in a frontal collision. Advanced driver-assistive technologies available on the Odyssey include Forward Collision Warning (FCW) and Lane Departure Warning (LDW). Using the Odyssey's front camera module, FCW warns of a possible collision with a vehicle detected in front, while LDW notifies the driver of departures from detected lanes4. The two systems are packaged together on Odyssey EX-L, Touring and Touring Elite models, and provide visual and audible warnings. The Odyssey was designed and engineered by Honda R&D Americas in its Los Angeles design studio and Raymond, Ohio, new-model development center. The Odyssey is produced5 exclusively by Honda Manufacturing of Alabama in Lincoln, Alabama. 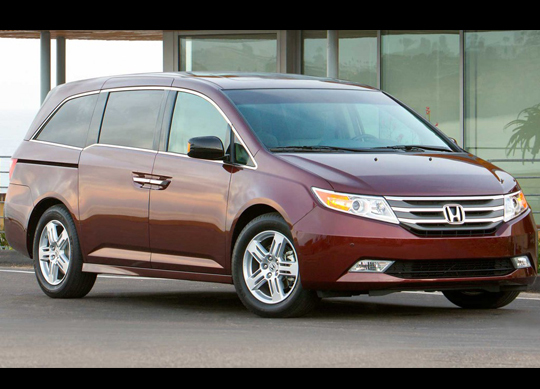 Consumer information is available at automobiles.honda.com/odyssey. 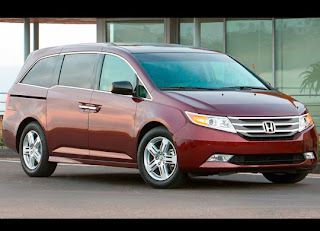 To join the Odyssey community on Facebook, visit facebook.com/Honda/Odyssey. Additional media information including, pricing, features and high-resolution photography of the 2016 Honda Odyssey is available at hondanews.com/channels/odyssey. 1 Manufacturer's Suggested Retail Price (MSRP) excluding tax, license, registration, $880 destination charge and options. Dealer prices may vary. 2 2016 EPA mileage ratings. Use for comparison purposes only. Your actual mileage will vary depending on how you drive and maintain your vehicle, driving conditions and other factors. 3 ULEV-2 (Ultra-Low-Emission Vehicle) models as certified by the California Air Resources Board (CARB). 4 FCW cannot detect all objects ahead and may not detect a given object; accuracy will vary based on weather, speed and other factors. System operation affected by high interior heat. FCW does not include a braking function. Driver remains responsible for safely operating vehicle and avoiding collisions. LDW only alerts drivers when lane drift is detected without a turn signal in use. LDW may not detect all lane markings or lane departures; accuracy will vary based on weather, speed and road condition. System operation affected by extreme interior heat. Driver remains responsible for safely operating vehicle and avoiding collisions. 5 The Odyssey is built using domestically and globally sourced parts. The Bluetooth word mark and logos are owned by Bluetooth SIG, Inc., and any use of such marks by Honda Motor Co., Ltd is under license; SiriusXM and all related marks and logos are trademarks of SiriusXM Radio Inc. and its subsidiaries; Pandora, the Pandora logo and other Pandora marks are trademarks or registered trademarks of Pandora Media, Inc. or its subsidiaries worldwide. *Manufacturer's Suggested Retail Price (MSRP) excluding tax, license, registration, $880 destination charge and options. Dealer prices may vary. **Based on 2016 EPA mileage estimates. Use for comparison purposes only. Your actual mileage will vary depending on how you drive and maintain your vehicle. Does not apply to fluid and filter changes. Will vary with driving conditions. Please see your Honda dealer for details. ULEV-2 (Ultra-Low-Emission Vehicle) models as certified by the California Air Resources Board (CARB). Requires surge-type or electric trailer brakes and available Honda accessory towing package and hitch ball. Premium unleaded fuel recommended when towing. Please see your Honda dealer for details. For optimal tire wear and performance, tire pressure should be checked regularly with a gauge. Do not rely solely on the monitor system. Please see your Honda dealer for details. FCW cannot detect all objects ahead and may not detect a given object; accuracy will vary based on weather, speed and other factors. System operation affected by extreme interior heat. FCW does not include a braking function. Driver remains responsible for safely operating vehicle and avoiding collisions. LDW only alerts drivers when lane drift is detected without a turn signal in use. LDW may not detect all lane markings or lane departures; accuracy will vary based on weather, speed and road condition. System operation affected by extreme interior heat. Driver remains responsible for safely operating vehicle and avoiding collisions. The Honda Satellite-Linked Navigation System™ and DVD Rear Entertainment System are only available separately on EX-L models. A separate source device is required to use split-screen function. HDMI, the HDMI Logo, and High-Definition Multimedia Interface are trademarks or registered trademarks of HDMI Licensing, LLC, in the United States and other countries. Windows Media® is a trademark or registered trademark of Microsoft Corporation in the United States and/or other countries. Compatible smartphone required. All Aha platform feeds are audible, not visual in nature. Vehicle does not provide any feeds. Some state laws prohibit the operation of handheld electronic devices while operating a vehicle. Launch smartphone applications only when the vehicle is safely parked. Aha is a trademark of Harman International Industries, Inc. Your wireless carrier's rates may apply. The Honda Satellite-Linked Navigation System™ is available on EX-L models and standard on Touring models in the United States, Canada and Puerto Rico. (FM Traffic service only available in the United States, except Alaska). Please see your Honda dealer for details.